Official VIP Corporate hospitality at Polo in the Park - The biggest polo event in the city! Chestertons Polo in the Park is the largest polo event in Europe and takes place in early June at Hurlingham Park, Fulham, West London. 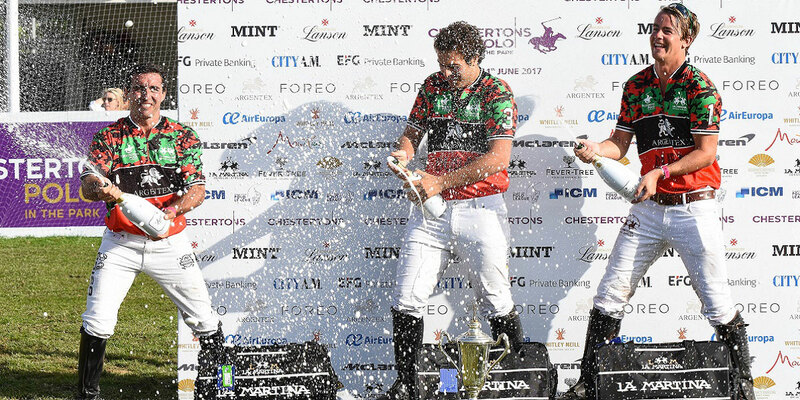 2018 will be the 10th annual event, bringing some of the world's best polo players to the capital to entertain over 26,000 people across Friday 8th, Saturday 9th and Sunday 10th June. 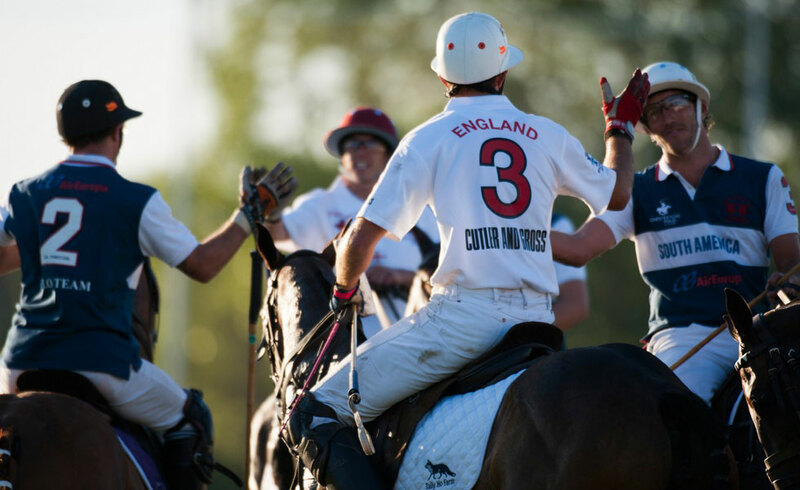 The City Polo Series provides a unique format of fast and furious polo that brings you close to the action and all without leaving London! With teams representing six different cities around the world competing at high speed over the three days you are guaranteed to see sizzling action both on and off the pitch. 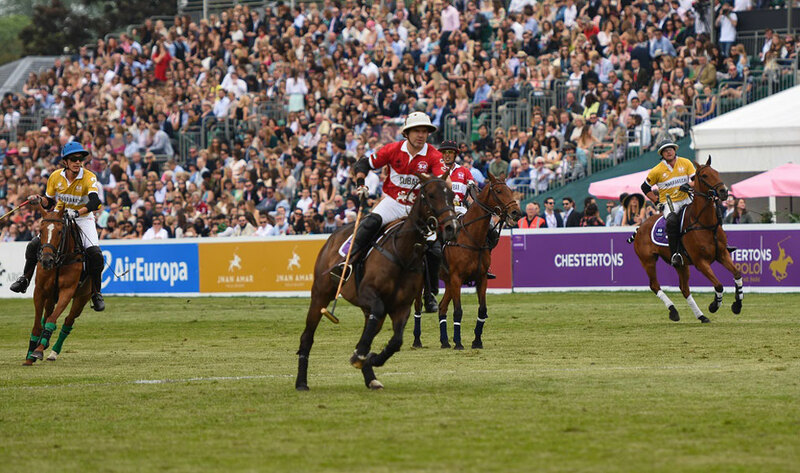 If you haven't been to the event before you will not only enjoy the superb polo action but also top end hospitality, shopping village, live music and of course the obligatory half time divot stomping! Patron Hospitality Package - The Best in the City! Prices are per person and plus vat. Private hospitality suites and package are available with bespoke hospitality options tailored to your budgets. Packages are subject to change and terms and conditions apply. The Garden Club package available is more informal with prices starting at £99.00 plus vat per person. Please enquire for package details. The event was absolutely superb and ran to perfection. Makes such a difference dealing with a professional corporate event management company who are actually polo players! Seriously Cool Events and The Corporate Polo Company really gave us the extra added value to our event with an incredible personal service. Attention to detail just first class. Thank you for the recommendation. We will certainly be using you again. Ideal solution for corporate family fun days or company summer parties on Sunday 10th June. Private facilities are available on the Sunday for 50-60 guests. Please enquire for bespoke packages. Polo gift available with the Seriously Cool Events polo team including team clothing, polo whites, short polo sticks, team polo jackets. Want to learn to play polo yourself? Polo is a superb team building and company day opportunity. With Seriously Cool Events and The Corporate Polo Company you can come and join us on and our faithful friendly and highly amazing polo ponies to have a go at hitting the ball and scoring goals! Click here and come play polo! Hospitality Packages for Polo in the park are available to purchase now. Book early to avoid missing out as tickets and hospitality sell out fast! Contact our professional event team today and secure your table or private hospitality.